Share the post "Fibroid Embolization in Missouri"
The Suburban Journals in St. Louis Missouri reported on fibroid embolization as an important alternative to hysterectomy. The Suburban Journals in St. Louis Missouri reported on fibroid embolization as an important alternative to hysterectomy. 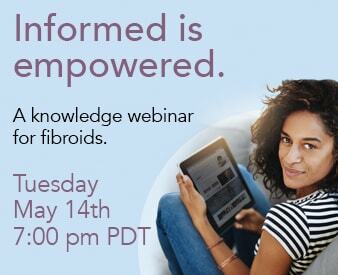 The article points out that many women with asymptomatic fibroids don’t necessarily experience the common symptoms, however, symptomatic fibroids often cause heavy menstruation and abdominal discomfort (among other things) and can sometimes affect fertility if they grow large. * Please note, articles linked to outside sources in this blog do not necessarily reflect the medical opinions of the FTC.